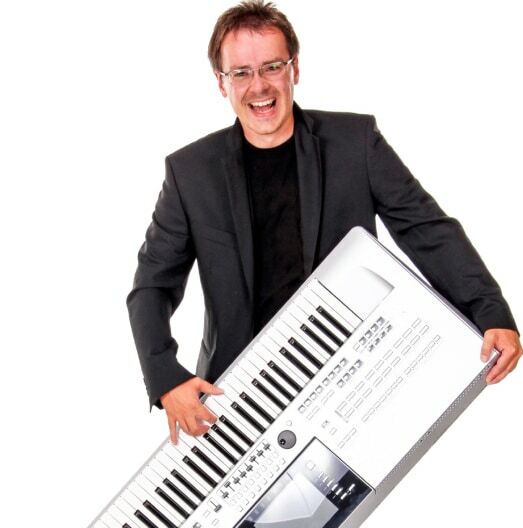 Recent review: Awesome keyboardist. Sounded amazing. A true one man band. Very professional, on time. Our church is celebrating women's day, and our pianist had an emergency and has to go out of town. We need a backup to play 3 songs, I've found instrumentals for the other songs were singing. I need someone to play 3 songs and we will sing along with the songs. Keyboard players are a perfect choice for events of all types from corporate and community events, to birthday parties and weddings. They can provide a variety of sounds and styles of music. Electronic keyboards can synthesize unique sounds and multiple instruments, making it a great substitute for a full sized band. Keyboard players can provide a similar service as a piano player, but offer the convenience of portability that you can't get with a baby grand or upright piano. Search for Keyboard Players in Santa Ana, California above. Please note that these Keyboard Players may also travel to Villa Park, Santa Ana Heights, Midway City, East Irvine, Atwood, Corona Del Mar, Newport Coast, Laguna Woods, Sunset Beach, Foothill Ranch, La Palma, Los Alamitos, Silverado, El Toro, Surfside, Rossmoor, Seal Beach, Laguna Hills, Hawaiian Gardens, Artesia, Aliso Viejo, Laguna Beach, La Habra Heights, Rowland Heights, Trabuco Canyon, Las Flores, Signal Hill, Ladera Ranch, Walnut, and Santa Fe Springs.